If the Barisan Nasional and the Perak royal household had any lingering doubts about negative public sentiment towards the change of the state government, here is a message: doubt no more. 76 per cent of respondents felt that “the people through elections” should decide who forms the government in Perak. The breakdown by race was 60 per cent Malays, 88 per cent Chinese and 98 per cent Indians. 74 per cent of the respondents feel that the state assembly should have been dissolved after the defection of the three Pakatan Rakyat lawmakers. The breakdown by race was 59 per cent Malays, 85 per cent Chinese and 88 per cent Indians. 68 per cent of respondents said that the preferred option of settling the political crisis is either to hold three by-elections or statewide polls. The breakdown by race was 46 per cent Malays, 88 per cent Chinese and 80 per cent Indians. 66 per cent of the respondents do not accept state governments formed through the defection of state assemblymen. The breakdown by race was 46 per cent Malays, 87 per cent Chinese and 73 per cent Indians. 62 per cent of the respondents felt that the “role of the palace in this decision” means it does not recognise the will of the people. 59 per cent of the respondents feel that the political crisis in Perak would decrease support for Barisan Nasional. Taken together, the poll by the Merdeka Centre suggests that Datuk Dr Zambry Abdul Kadir and the BN may occupy the seat of government but a significant number of Perakians may not accept their legitimacy to hold power. Clearly, from the survey findings we can infer that while our politicians may have difficulties clinging onto principles and a value system, the rakyat know right from wrong. They can’t stomach politicians who get voted into office on one ticket and then decide to jump ship. They don’t believe that the status of a government should be decided behind closed doors. The political crisis unfolded in Perak when three Pakatan Rakyat legislators became independents and said that they would back the BN. This wiped away the three-seat majority which enabled Pakatan Rakyat to rule the state since March last year. After interviewing the three and the 28 BN representatives, Sultan Azlan Shah decided that BN had the majority in the state assembly. This was a controversial decision given that Datuk Seri Nizar Jamaluddin and Pakatan Rakyat felt that the correct decision should have been for the Ruler to allow for the state assembly to be dissolved for fresh elections. There is a roiling debate even among lawyers on the Sultan’s decision, with the majority saying that he should have either agreed to the dissolution of the House or held off making any decision until a vote of no confidence against Nizar was taken in the assembly. 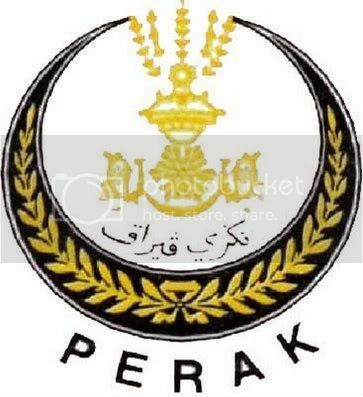 The survey findings indicate that many Perak voters also feel that the Ruler may have erred. It is a real challenge looking for a silver lining in what happened in Perak. Perhaps the one redeeming fact to be gleaned from the sordid affair of defections and the ouster of the Pakatan Rakyat state government is this: the moral compass of the Malaysian public is fixed on tight. I say Malaysian, and not Malay, Chinese or Indian, because the findings of a survey by the Merdeka Centre shows that all the major races feel the same about the political crisis in Perak. Some politicians may have tried to turn the events of the past week into a racial issue, or at least frame objections to Sultan Azlan Shah’s decision to recognise the Barisan Nasional state government as treacherous behaviour by some Malays, but the voters of Perak did not bite. Some 507 registered voters were interviewed by researchers from Merdeka Centre on February 8 on the political crisis in the silver state and the sampling was done randomly. The margin of error was about 4.5 per cent.